Kiko grew up with an artist mom who taught him to draw, paint, make bread and sculpt, etc. He started carving stone at age ten and went to Italy at 17 to carve marble. He has worked in construction, community development and media. As a teaching artist, he works with schools and communities to sculpt wood-fired community ovens, murals, outdoor furniture and public installations. 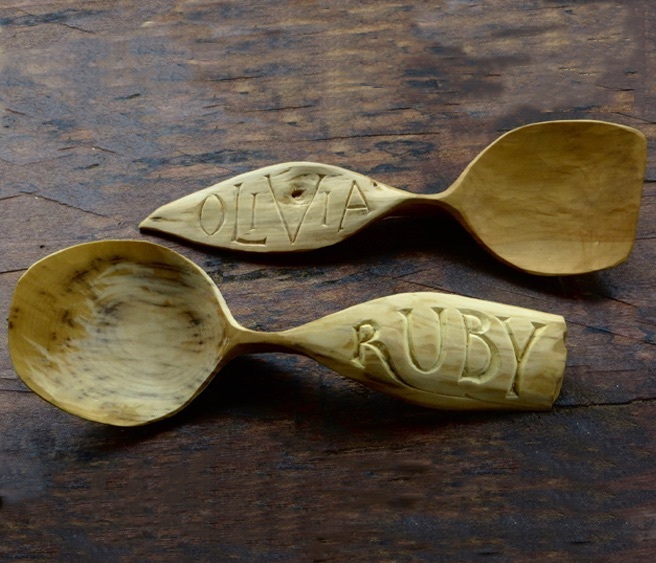 Ten years ago, after an introduction from Bill Coperthwaite, he started carving household wares out of greenwood. This and teaching have become Kiko’s primary activities. With his family, he also builds soil, garden and homestead on an acre near town.